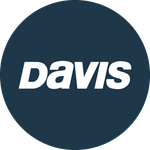 Davis Instruments Support, FAQs and Troubleshooting - Does the Cable Buddy and Lube II fit all motors? All Categories ​>​ FAQ ​>​ Marine ​>​ Does the Cable Buddy and Lube II fit all motors? Does the Cable Buddy and Lube II fit all motors? The Cable Buddy and Lube II work on all outboard steering cables. They’ll fit all major U.S. and foreign motors (7/8" x 14 pitch threads) except Mercury motors. Why doesn&apos;t the Lube II or Cable Buddy work with HP Mercury Outboard? Does the Doel-Fin affect the top speed with the added drag? Is the hardware for the Doel-Fin rustproof?